I might just be making the assumption that kosher grocery stores in my area just don’t carry salt fish but if I’m wrong, you let me know. So I figured I would just make it myself. Not much to it really, just fish and sea salt. Easy. 24 hours before I planned to make the delicious Antiguan local dish, I poured a thin layer of salt on the bottom of a pan. 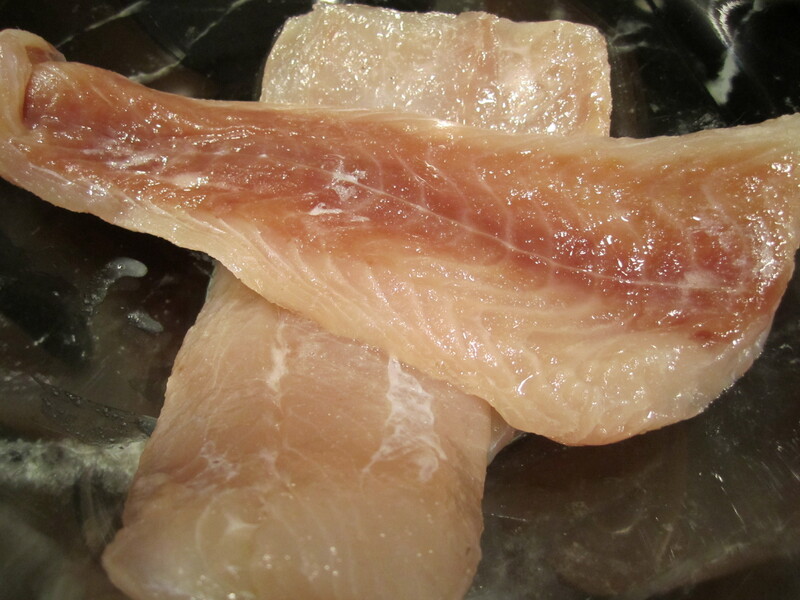 I then washed and dried the fish, being careful not to tear the fillets, and placed the pieces on top of the salt layer. I completely covered the surface with more salt and tossed until they were covered on all sides. I tightly wrapped the pieces in plastic wrap, making sure that all the air was out, and placed them on a dish. If you would like, you can place the fish on a rack with a plate underneath it to catch the moisture released during the drying process. I thought just putting the fish on a plate was fine and it worked for me. I placed the plate in the fridge and let it be for 24 hours. Just be careful when you lift the plate 24 the following day since there will be liquid underneath the fish. You don’t want fish juice all over the floor, right?!? That smell would never go away. So 24 hours later, I took the fish out of the fridge and I was really excited to feel its texture. Just as promised, the salt pulled tons of moisture out of the fish and I was left with two perfectly dried out fillets. One of the recipes I read said to flip the fish half way through the drying process and re-wrap, so you can do that if you want but I didn’t bother. I soaked the fish pieces in water for about 4 hours then boiled them in water for 45 minutes. While the fillets were boiling, I began prepping the vegetables for the salt fish and the sweet potato mixture for the ducana. 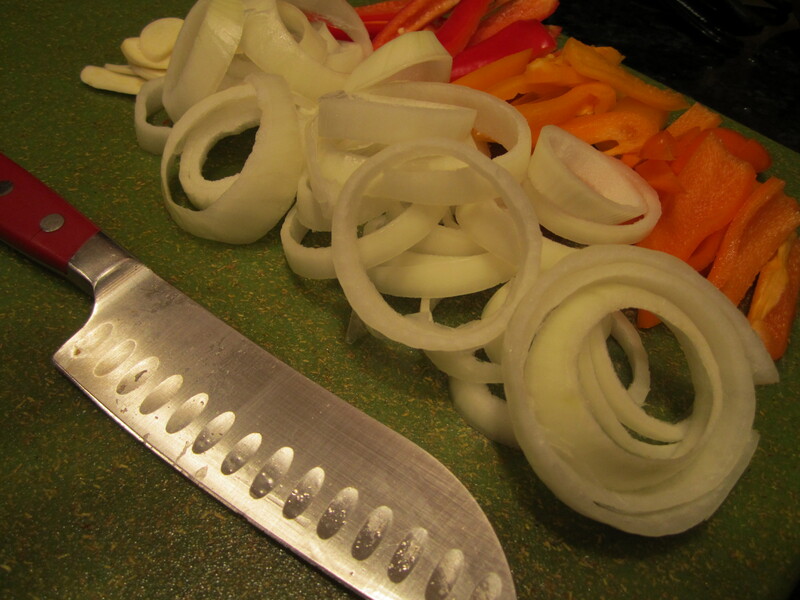 I sliced the peppers, onions and garlic and put them aside. 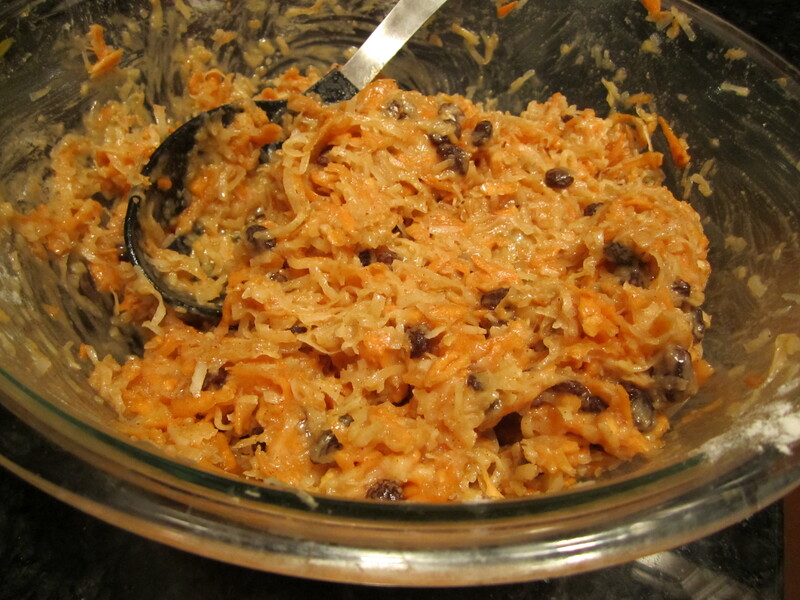 One of the ducana recipe I found said to chop the coconut and sweet potato in a blender. That didn’t work out too well. Maybe a food processor would have worked better, but I was just trying to follow directions. So I switched to manual grating. It was a bit more hands on, but worked much better. I added 1 1/2 cups of water to add moisture. I then mixed all of the other ingredients in the bowl in the order they appeared on the list. So simple and easy. Since there are no eggs in the recipe, you can even try the mixture before boiling to make sure you like the taste. If you don’t want it to be too sweet, you can add less sugar (maybe 1 1/2 cups instead of 2). While all of this was happening, the fish continued to boil. So before I cooked the ducana mixture, I took the fish out of the water, drained it and added cold water so the fish could cool. Then it was back to the ducana…I placed a large pot of water on the stove to boil. 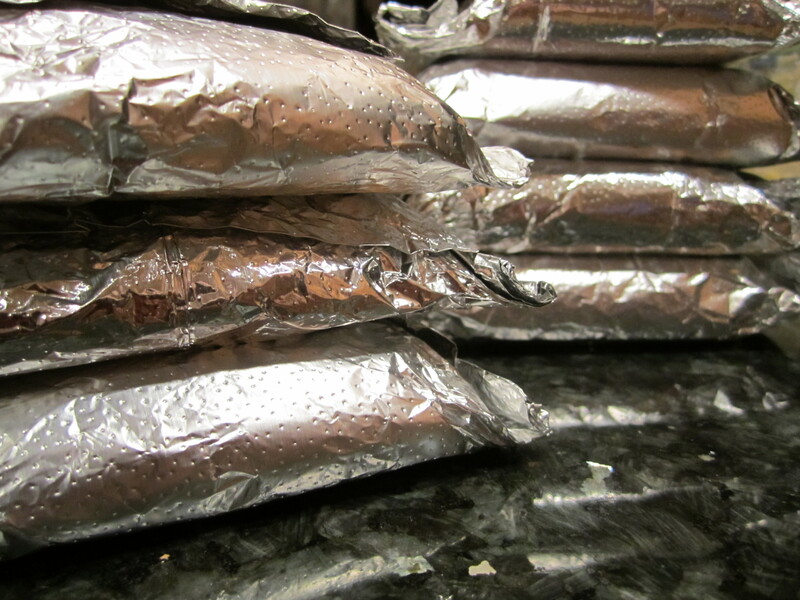 Meanwhile, I used 8 pre-cut 10×12 pieces of foil paper to wrap the mixture. Using a large spoon, I scooped the batter into the center of the foil then folded it 2/3 of the way, covering the mixture. I folded the top 1/3 of the foil over the mixture, making sure to pin the end of the batter so it didn’t ooze out either side. I folded in each end to seal it all in. I repeated the process 7 more times and was ready to boil! I placed the foil packets in the boiling water, which was ready and waiting for me, and moved back to the salt fish, which had cooled down. I broke the fish into bite size pieces and set it aside. I just had to try it before it was all dressed up, and it was so delicious. Very salty! I guess that’s why they call it salt fish. 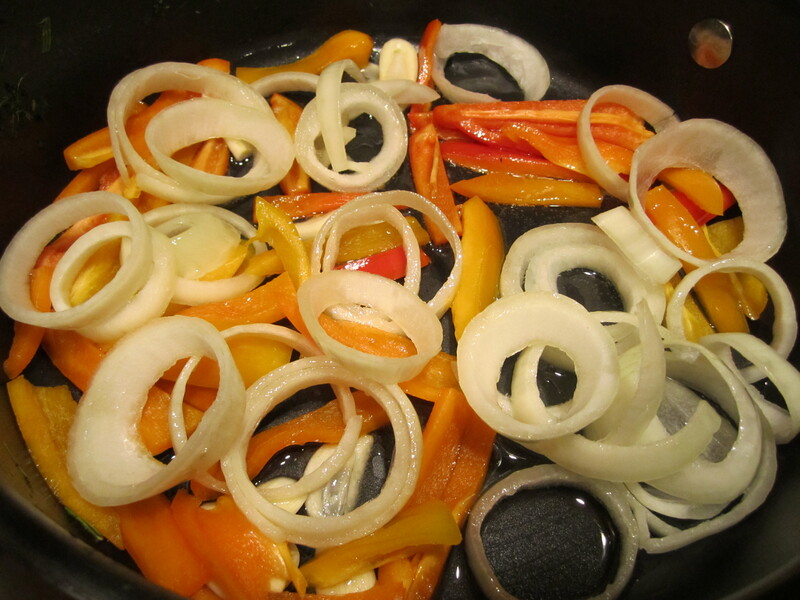 I poured the oil in a frying pan on medium-high heat and added the prepared peppers, onions and garlic. I stirred until the vegetables were translucent. I added the tomato sauce, vinegar and fish to the pan and sprinkled in the black pepper. I stirred everything together and let the mixture sit on the stove over medium-low heat until the ducana were done boiling. In Antigua, this dish is traditionally served with spinach seasoned with butter to taste, so I took a bag of frozen spinach out of my freezer and cooked it in a pan with a little bit of butter, salt, pepper and garlic powder. You can add cooked pieces of pumpkin, eggplant, okra, or long squash to the spinach. In Antigua, they call it ‘chop up.’ Once the spinach was finished cooking, the ducana packets were ready to come out of the boiling water. 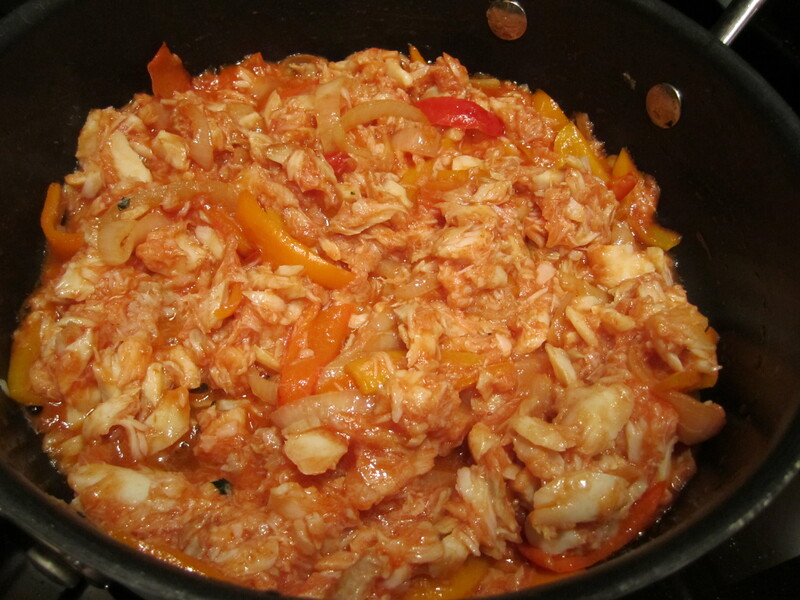 hours before you plan to meat this dish, make the salt fish: pour a thin layer of salt on the bottom of a pan. 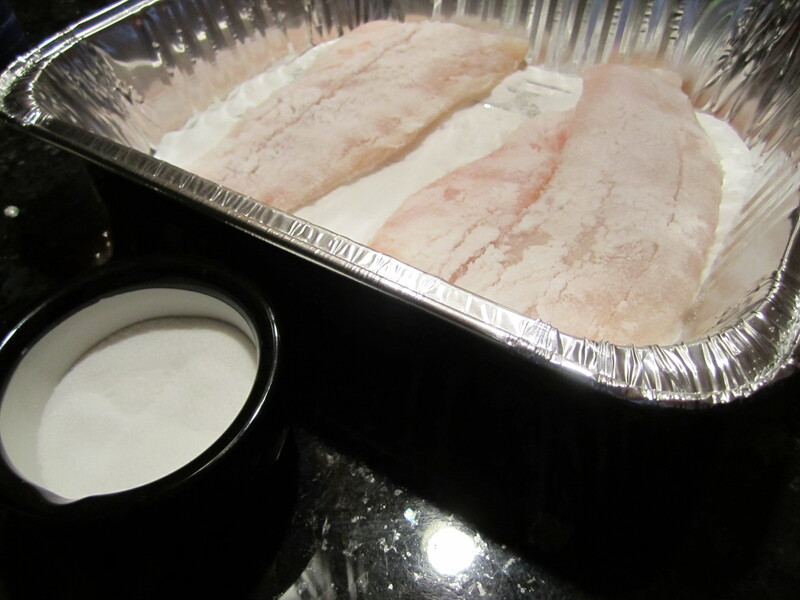 Wash and dry the fish, being careful not to tear the fillets, and place the pieces on top of the salt layer. Completely cover the surface with more salt and toss until they are covered on all sides. 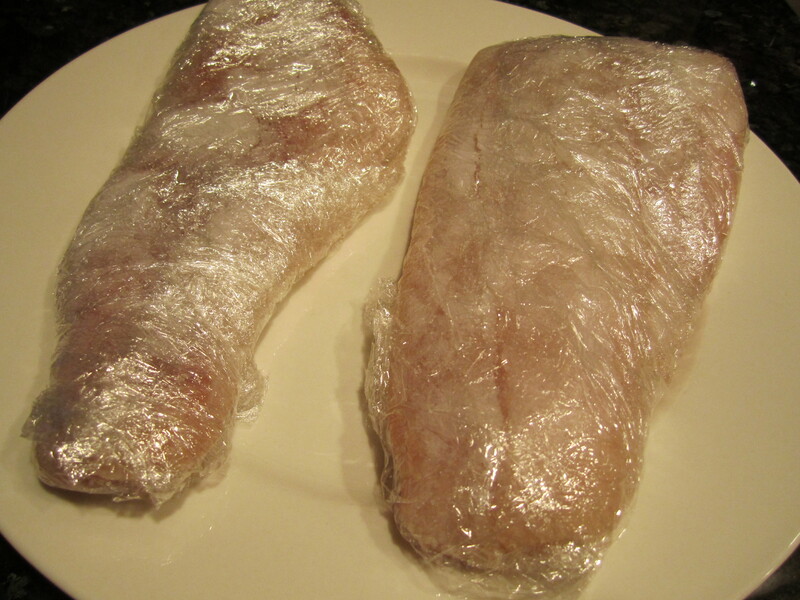 Tightly wrap the pieces in plastic wrap and place the fish on a dish. If you would like, you can place the fish on a rack with a plate underneath it to catch the moisture released during the drying process. Place the plate in the fridge and let it be for 24 hours. Just be careful when you lift the plate 24 the following day since there will be liquid underneath the fish. Take the fish out of the fridge, unwrap and soak the pieces in water for about 4 hours then boil them in water for 45 minutes. While the fillets are boiling, prep the vegetables for the salt fish and the sweet potato mixture for the ducana. Slice the peppers, onions and garlic and put them aside. 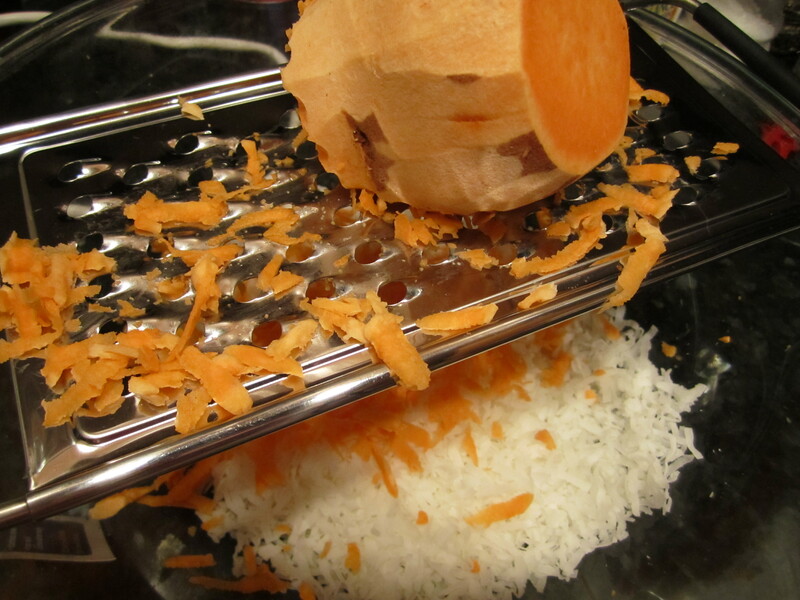 To make the ducana: in a food processor or by hand, grate the sweet potato and coconut together. Add 1 1/2 cups of water to add moisture. Mix all of the other ingredients in the bowl in the order they appear on the list. Before cookig the ducana, remove the fish from the boiling water, drain and add cold water so the fish can cool. Then continue preparing the ducana. Place a large pot of water on the stove to boil. 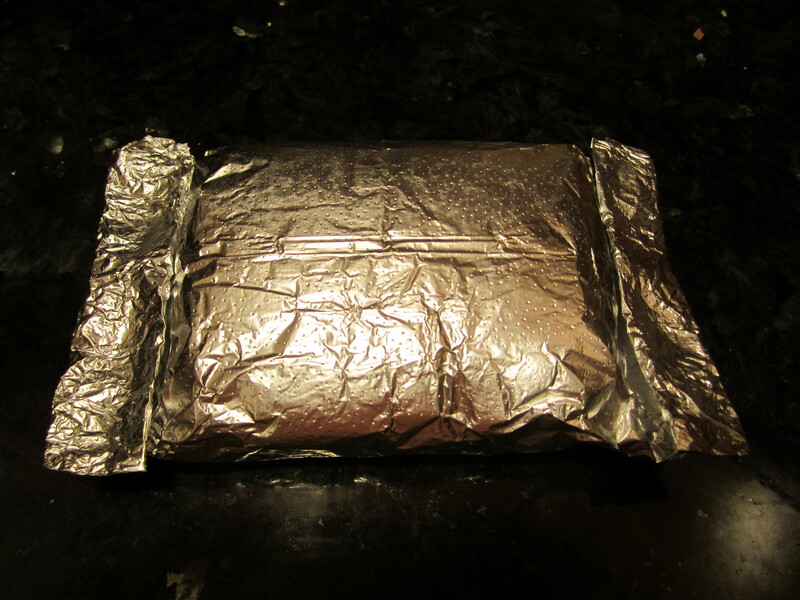 Meanwhile, use 8 pre-cut 10×12 pieces of foil paper to wrap the mixture (or rip your own foil pieces). 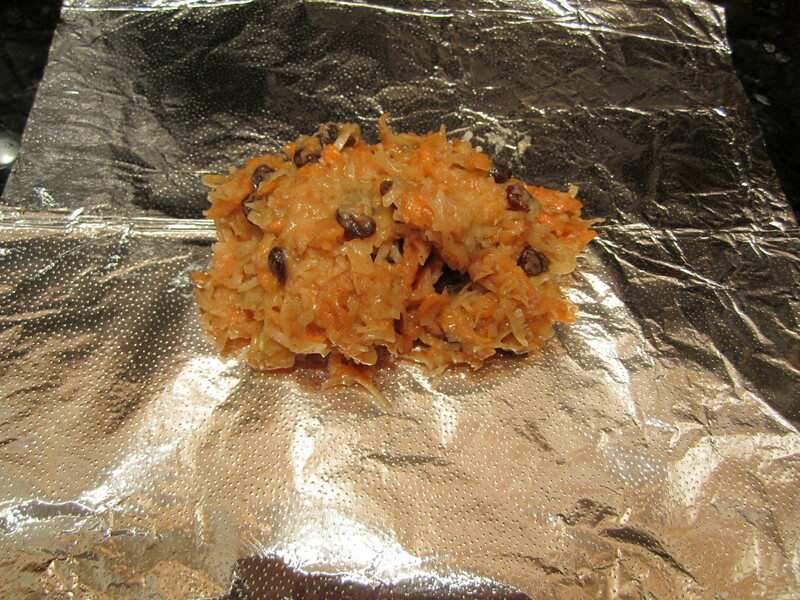 Using a large spoon, scoop the batter into the center of the foil then fold it 2/3 of the way, covering the mixture. Fold the top 1/3 of the foil over the mixture, making sure to pin the end of the batter so it doesn’t ooze out of the sides. Folded in each end to seal it all in. Repeated the process 7 more times and the water should be boiling. Place the foil packets in the boiling water for 20-30 minutes. While the ducana cooks, break the fish into bite size pieces and set it aside. Pour the oil in a frying pan on medium-high heat and add the prepared peppers, onions and garlic. Stir until the vegetables are translucent. Add the tomato sauce, vinegar and fish to the pan and sprinkle with black pepper. Stir everything together and let the mixture sit on the stove over medium-low heat until the ducana is done boiling. Carefully remove the ducana packets from the boiling water, open up and eat. 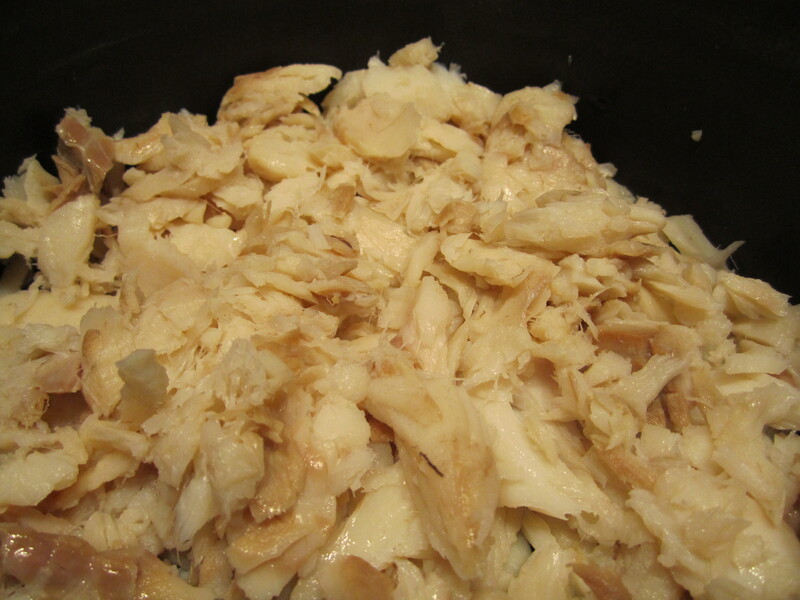 30 Comments on "Antiguan Ducana and Salt Fish"
Yummy looking- we can make the Ducana for Pesach!!! Your supposed to use white sweet potato aka batata not American sweet potato. Great to know! I would LOVE to find batana somewhere in my neighborhood, but in the meantime, the American sweet potato was also very delicious! apple cider vinegar is not needed. you should cut the onions up smaller.also I would like to know what wasn't kosher about the way the food was made? When it comes to keeping kosher, it's not just about how the food is made in some cases. It's about having a kosher certification on the restaurant itself. So in the case here, there are no restaurants in Antigua that have a kosher certification. also you can slice tomatoes and add them in. sweet potato in antigua means yams as opposed to the yellow one as well. who did you get this recipe from? why aren't your sourcing them? I'm glad to see someone trying my native dish, but to label this as Antiguan is misleading. A really nice interpretation, though. Thanks so much! When I wrote this post, it was inspired by my trip to Antigua and I was told it was the native dish so that's why I called it that. It is one of the native dishes. 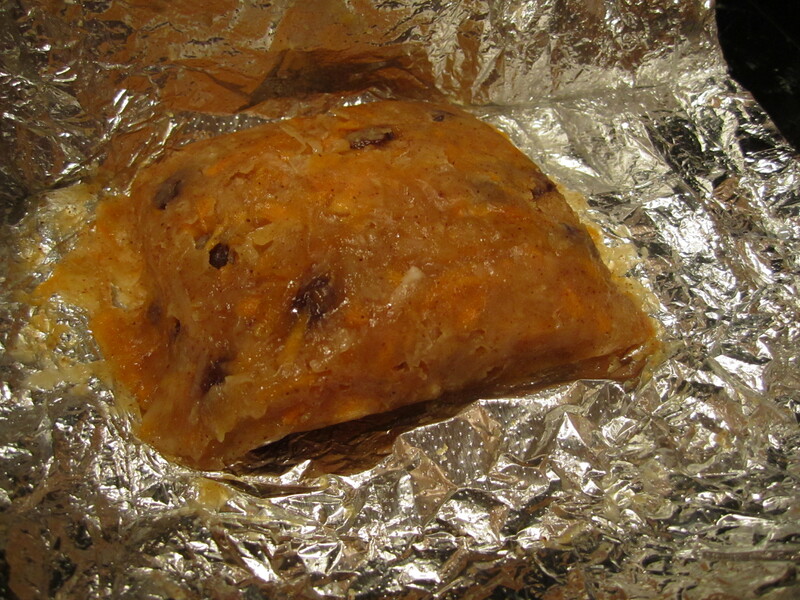 It's a staple Antiguan dish as well as for a few Carib islands. Some make it slightly differently with different names. Where are you from? You did a great job. It's a staple dish in Antigua and Barbuda. Next time use batata, which is a sweet potato that has red skin and white on the inside. Thank you for showing one of our on record staple dishes that we are very much known for. As an Antiguan myself, you did a brilliant job! Thank you so much! This is still one of my favorite recipes on my blog. I know this is an old post, but came across it as I was looking for a Ducana recipe. Just wanted to say please forgive anyone who comes off harsh or critical in the comments below. I thing you did an amazing job for someone who only visited Antigua!!!!! Looks yummy and amazing! Truly incredibly job! Thanks so much!!! I am very proud of this recipe and it's actually one of my most popular recipes, which I never expected. I guess lots of people really like ducana :) I really enjoy feedback, especially from people that truly know a dish and have good advice for how to make a recipe more authentic. I think so aswell very good try .next time try useing fresh coconut grated and add some grated ginger to your batter . 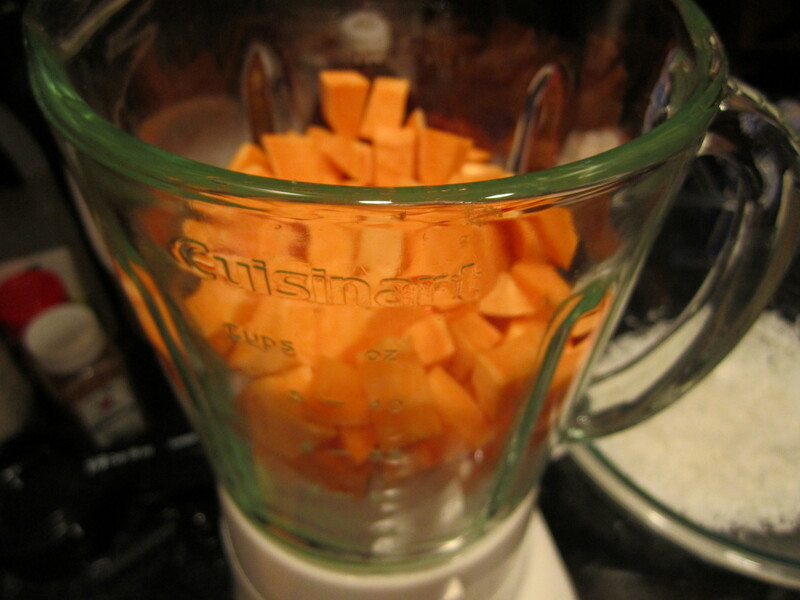 It's white sweet potato (not yams)..the potato should be grated fine not shredded. Grew up on this dish its delightful! We will still make every few months. lots of work well worth with it. Thanks for the feedback!!! Totally worth the effort, right?!? I haven't had this in such a while, bought my ingredients to prepare tonight. Can't wait!